CUSTOMER REQUESTED POST BE REMOVED. Coherent D600L, D600, D1000 and D1000L RF Exciters. Once again I would like our laser public know you do have a place to come for your Coherent, Coherent/DEOS RF exciter repairs. I have spoken with many people being told they must buy new lasers because their RF exciters are not repairable. THIS IS SIMPLY NOT TRUE. Photovac RF Power has all components, power modules, and PC Boards for COMPLETE and comprehensive repair for the Coherent D-Series exciters. The D-Series exciters run Coherent GEM 100, GEM 120 and GEM Series laser tubes. Always call Photovac Laser if you have any questions regarding what type of laser system you have installed in your laser engraver, Euro Laser, Kern or other industrial laser cutting table. We’ll be happy to help you! In all my years I never thought we wood reach a level that demands so mush RF power repair. Photovac RF Power is a stand alone division supporting Photovac Laser Worldwide in the repair of RF power systems and RF exciters for industrial laser tubes. Photovac RF Power has established a separate facility to repair and maintain RF power systems. Photovac RF Power supports most RF power systems from most US and Foreign laser producers. We specialize in the majors including Synrad and Coherent Laser. Please feel free to contact Photovac Laser Worldwide for your repair requirements. This past year has been absolutely amazing with major growth in our overseas operations, industrial laser tubes and RF power division. With the continued use of Co2 lasers in the industrial field, Coherent’s E400 series is in high demand. With high demand always comes the eventual breakdown of the laser tube and/or RF components. Photovac Laser is well posistioned to support the repair of Coherent E400 series laser system. 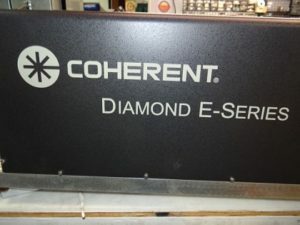 Coherent’s E400 is a beast due to it’s weight and power requirements. Photovac Laser has the capacity to service the laser from reprocessing to re manufacturing. Our comprehensive service also includes the RF segments of the Coherent E400 laser system. Photovac Laser is a worldwide pioneer and leader in the field of industrial, medical and RF laser power systems. Our service for the Coherent E400 while comprehensive does not include any type of exchange program. 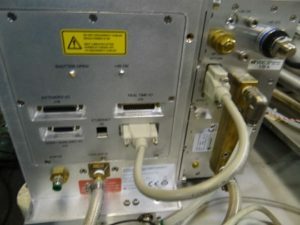 The manufacture requires a minimum of $25,000.00 to either repair the laser or exchange. Photovac Laser prides it self on it ability to support this laser system, while maintaining a major cost savings to our customers. Please feel free to contact us today for your service needs for the Coherent E400 series laser systems by Coherent Laser. Creative Custom Solutions – Photovac is Thanked! Our experience with Photovac Laser was very positive. Upon sending our non-working components to you, we had no idea what what was wrong with them. Expecting the worst and big bill, we were surprised to hear the problems were a lot less costly than what we would have thought. Not only did this save us money, you provided excellent support to get our machine back up and running again. Being a full service laser fabrication shop, we need every watt of our laser to cut through thicker substrates. We were pleased to hear that your calibration data showed our beam output was beyond the expected wattage, ensuring we have the power we need. I am glad we chose your company to fix our laser system. We would certainly recommend you to anyone in need of your services and contact you for future repairs. “Very rarely have I been so pleased with the service, reliability, customer relations, professionalism and competitive pricing as I am with the Photovac team. They walked us through the necessary steps to diagnose and repair our laser. My initial apprehensions were unfounded as the staff was so professional and their directions so precise that it was much simpler than i expected. Thankful Next Day Stamps & Engraving!